JACKSON, Miss. (AP) — Did Kathryn Stockett use her brother's African-American maid as the basis for a character in the bestselling novel-turned-movie "The Help?" For now, that question may go unanswered, by a court anyway. A Mississippi judge threw out a lawsuit Tuesday in which Ablene Cooper alleged Stockett used her likeness without permission in a book about relationships between white families and their black maids in the segregated South of the 1960s. Hinds County Circuit Judge Tomie Green granted a motion for summary judgment, dismissing the case because a one-year statute of limitations elapsed between when Stockett gave Cooper a copy of the book and when the lawsuit was filed. The lawsuit sought $75,000 in damages. Stockett was not in court in Jackson, the same city where the book is set. Cooper wiped away tears leaving the courtroom and launched into a tirade outside the courthouse. "She's a liar. She did it. She knows she did it," Cooper screamed. The judge did not make any determination on whether Cooper was the basis for the character, Aibileen, saying the statute of limitations trumped those matters. Besides the similarities in names, Cooper's lawsuit says she lost a son shortly before going to work for Stockett's brother, where she takes care of two children, a boy and a girl. Cooper's lawsuit says that's the same as the character portrayed in the book. Cooper's attorney, Edward Sanders, told The Associated Press he will consider the legal options available, including an appeal. Melissa Broder, Stockett's publicist, had no comment. One of Stockett's attorneys, Fred Banks Jr., had no immediate comment either, saying he would release a statement later. Stockett's defense team argued in court papers that Cooper and the character are not that similar. "'The Help' does not use Mrs. Ablene Cooper's name. It uses the name Aibileen Clark. It does not paint a picture of Mrs. Ablene Cooper, middle-aged in 2011. It paints the picture of Aibileen Clark, middle-aged in 1962," the lawyers said in court filings. Stockett's attorneys said in court records that Aibileen is based on the late Demetrie McLorn, the Stockett family's housekeeper, who died when the author was a teenager. 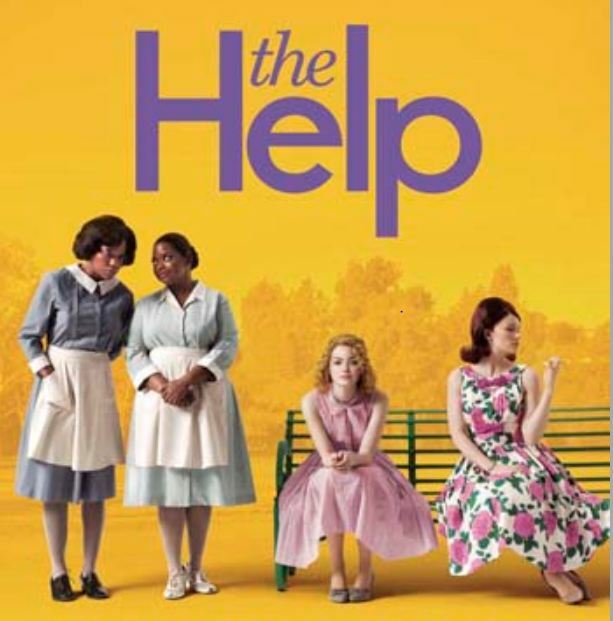 "The Help" was made into a movie that opened last week. It debuted at No. 2 nationwide, bringing in $26 million. The lawsuit says Stockett's refusal to acknowledge that she based the character on Cooper's likeness "is so outrageous in character, and so extreme as to go beyond all bounds of human decency, and is utterly intolerable in a civilized community." The suit also says that during a 2009 interview with The Atlanta Journal Constitution, Stockett said: "When I was writing this book I never thought anyone else would read it, so I didn't get real creative with the names. I just used people I knew. Some of them aren't talking to me right now, but I feel like they'll come around." After court Tuesday, Cooper's adult son wrapped his arm around his mother's shoulders and yelled at a throng of reporters to get out of their way as they walked toward their car. Cooper has said she's been embarrassed and distraught by the language used by the character that she says is based on her. "You see how I'm hurt? You know I'm hurt," Cooper said outside the courthouse. The lawsuit quotes passages from the book, including one in which Aibileen's character describes a cockroach: "He black. Blacker than me." The lawsuit says Cooper found it upsetting and highly offensive to be portrayed as someone "who uses this kind of language and compares her skin color to a cockroach." Cooper's lawyer acknowledged in court that Stockett gave her a copy of the book in January 2009, about a month before it was published. The lawsuit was filed in February 2011. Sanders, Cooper's lawyer, said a note Stockett wrote to Cooper falsely implied the book had nothing to do with Cooper, so she didn't read it until later. Sanders argued that the statute of limitations should have begun later, when Cooper eventually read the book. The judge was not persuaded.